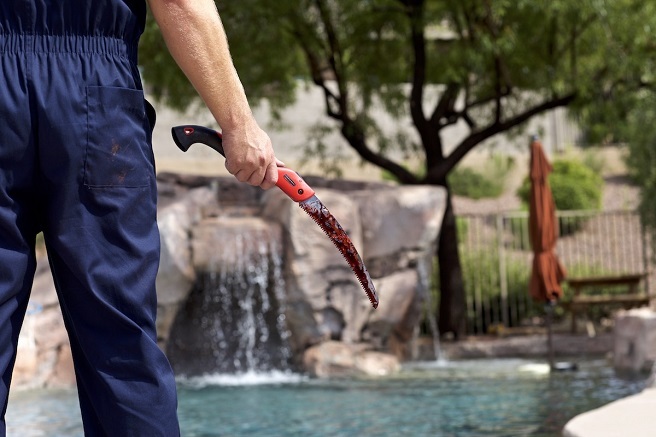 Early last year (HERE) we brought you news on the slasher POOL PARTY MASSACRE. We can now confirm that Terror Films will be bringing this gory terror filled film to you this August. POOL PARTY MASSACRE was written and directed by Drew Marvick (Scared To Death) (2015) and stars adult actress Alexis Adams, Sally Burnswello (Do Not Disturb), Nick Beyer (Popcorn Killer), Paul Card, Dora Deceuninck, Jimmy Grosse, Mark Justice and LeeAnna Vamp. What started out as a relaxing summer day by the pool for a group of high maintenance young socialites quickly becomes a nightmare, when an unknown killer begins stalking and murdering them one by one. 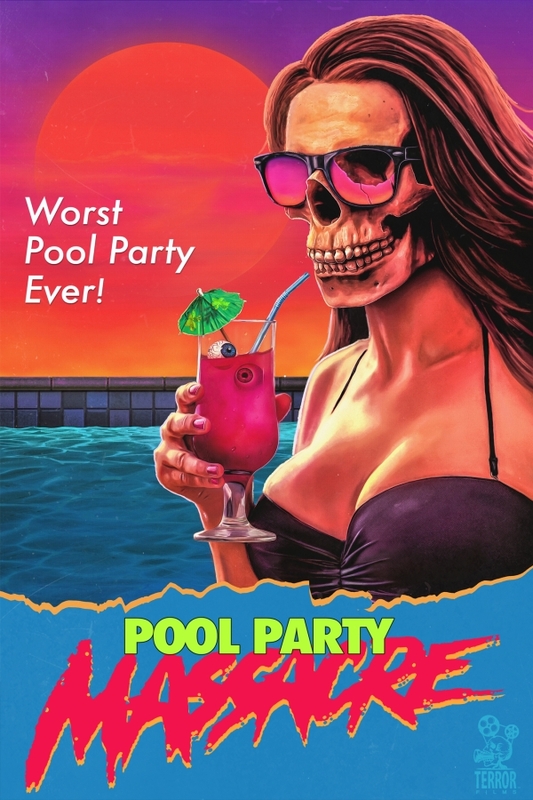 POOL PARTY MASSACRE releases across multiple Digital platforms on 17th August 2018. The film will be available in the U.S. and Canada, on this date. Horror fans can find the film on the following Digital platforms: Amazon Instant Video, iTunes and TUBI TV. A wider release, at a later date, will include: Roku, Vudu and Vidi Space.